Another successful Global Citizen Festival in New York this year is a constant reminder of the world’s population desire to galvanize and solve society’s biggest challenges. The Festival broke several user engagement, technology, and impact records from last year’s Festival in New York. The L+R and Global Citizen teams are proud to be building and maintaining a powerful platform for international social activism around the world. 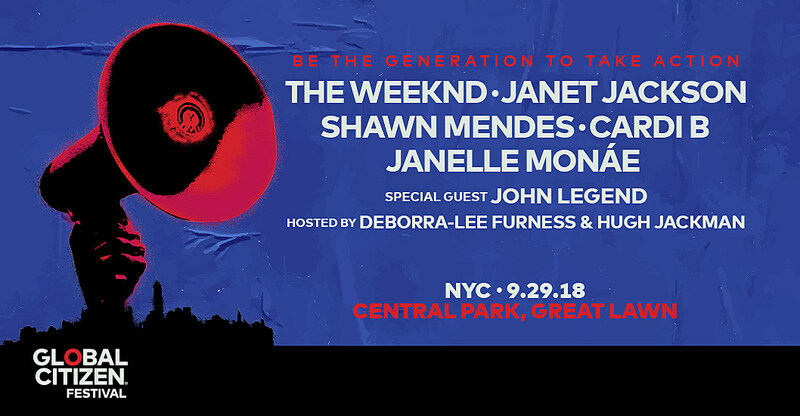 Celebrity Global Citizens in attendance included The Weeknd, Shawn Mendes, Cardi B and Janelle Monáe, John Legend, and Hugh Jackman. There were more than 60,000 attending citizens and millions more tuned in around the globe to experience live performances and updates about progress being made in nations in the developing world. The Festival serves as an event to bring attention to Global Citizen’s digital platform from which millions of people demand that the world’s leaders fulfill their obligation to achieve the UN Global Goals for Sustainable Development and end extreme poverty by 2030. View the L+R Declassified Case File on the Global Citizen app here. Previous Post The real value of home appliances manufacturers in the Smart Home.